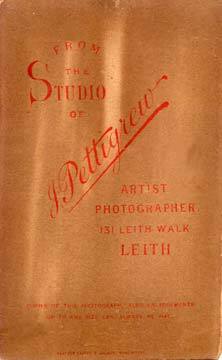 John Pettigrew was in business under his own name at 131 Leith Walk from 1888 until 1893, immediately before going into partnership to form Pettigrew & Amos at the same address. - bromide prints "Peeling Potatoes" and "An Old Salt"
Edinburgh Central Library Collection [Edinburgh Room] includes 11 photographs taken by John Pettigrew in Leith in 1891, including the area around Leith Walk, Great Junction Street, Constitution Street and Duke Street. On the back of some of their cartes de visite there was a sketch of a painter with easel and vases of plants. 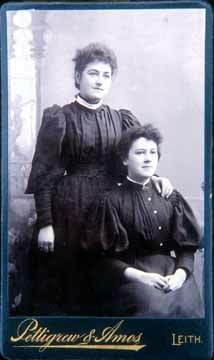 This carte de visite has the photographer's name prominently displayed on the front, and has a blank back. 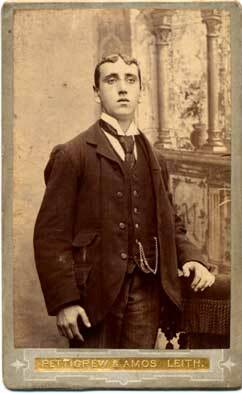 This style became popular with some photographers in the late 19th century. The style on the back of this cabinet print is typical of the late 19th century.  Did Moffat colour photographs when others did not? 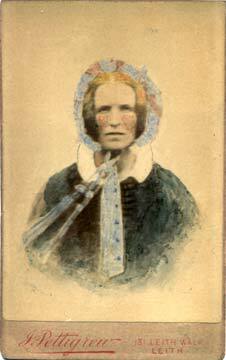 There is a small photo of my Great-grandmother (d. 1897), which my sister has in a frame. It is coloured and apparently signed J Moffat but I have noticed that it is identical to her in a family group portrait by Pettigrew. 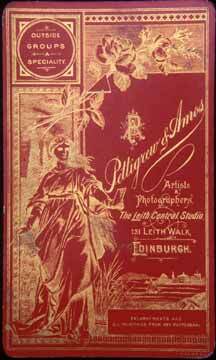 I would have thought the family would have had it made before Pettigrew ceased trading.